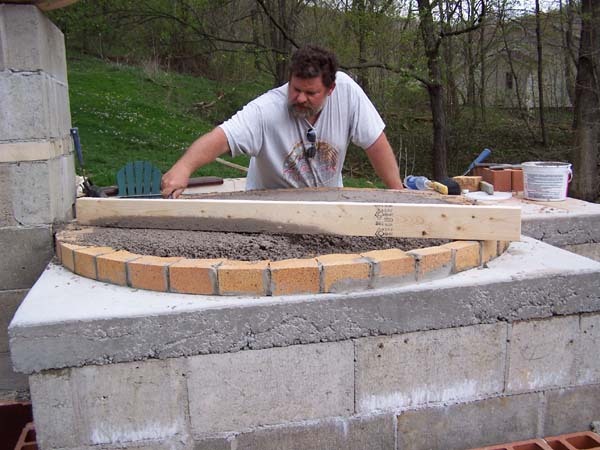 1) Build masonry base at least 52" wide by 64" deep, and 38" high for a finished oven floor 42" above the kitchen floor or ground. 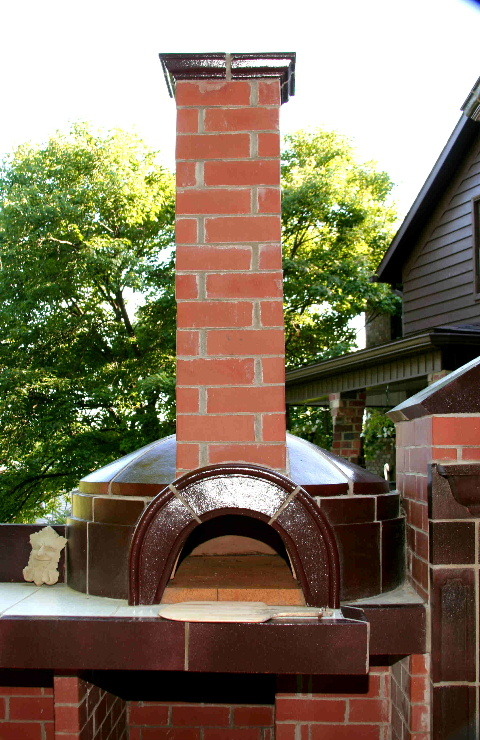 The inside of the oven is 36" in diameter and the walls will be at least 8" thick so the rectangular or rounded base should be at least 52" wide and 64" front-to back-to allow for a 12" counter or hearth extension in front of the oven entrance. 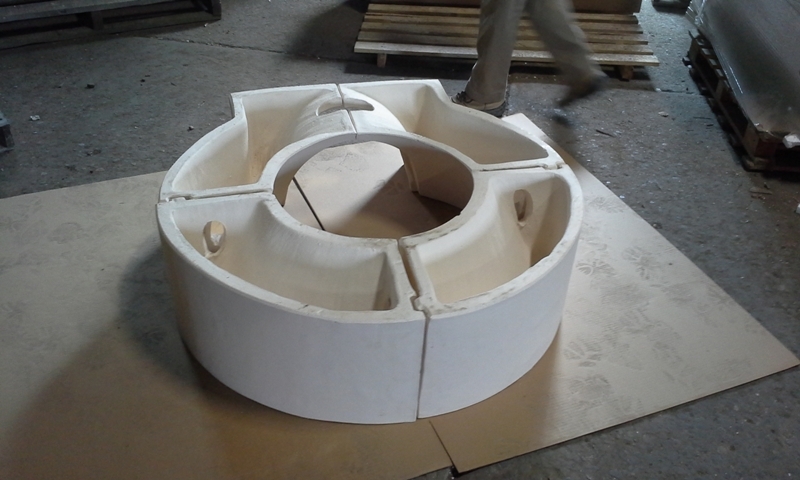 3) Lay out a 36" circle on oven floor and set the two piece entrance tunnel and two base sections using HeatStop II refractory mortar. 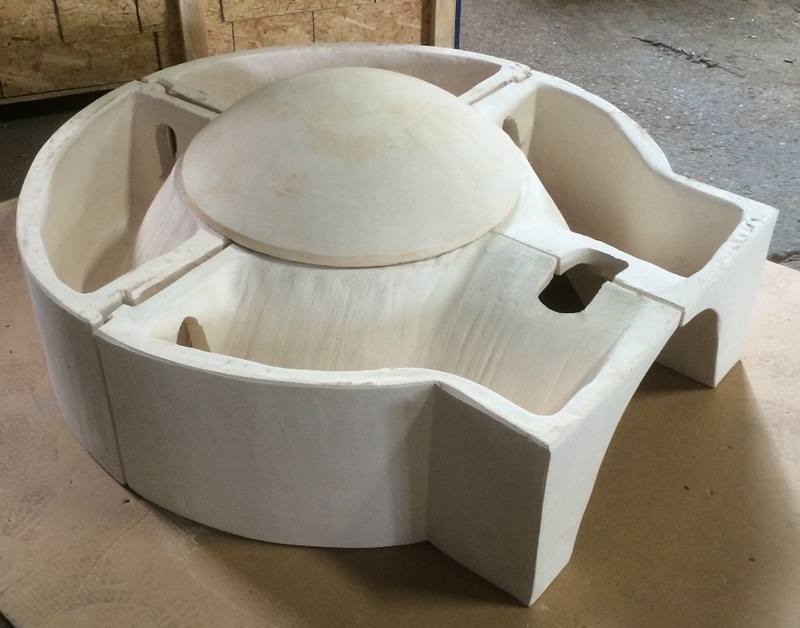 5) Fill the base components and Parge the dome with insulating castable refractory at least 2" thick. 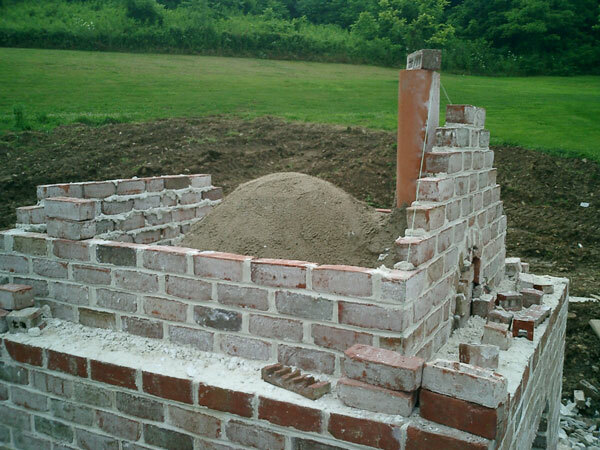 7) The 4"x8" flue liner should be enclosed within a chimney with walls at least 4" thick of solid masonry. If the chimney is inside a house it must conform to all applicable codes dealing with clearance to combustibles and height above the roof. 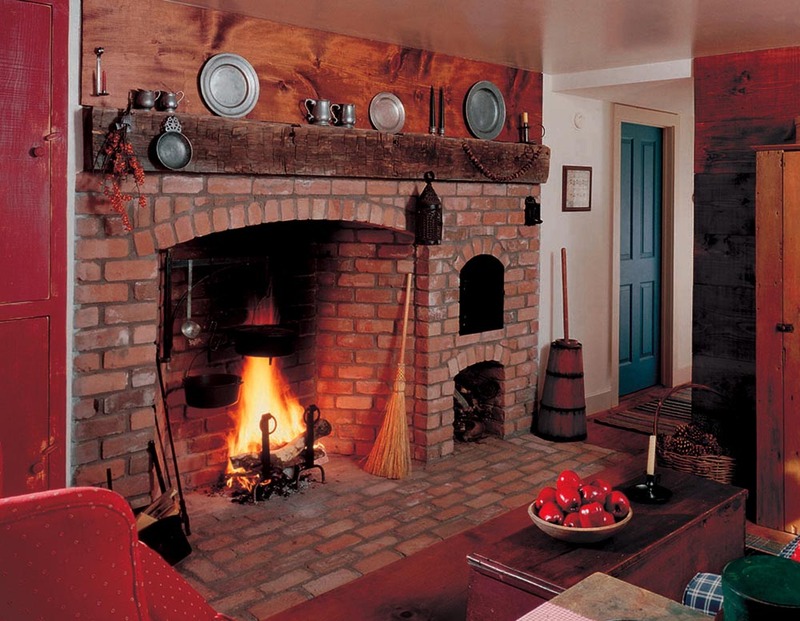 If the oven is outside the flue need only be enclosed in masonry as high as is desired and clear of combustibles. 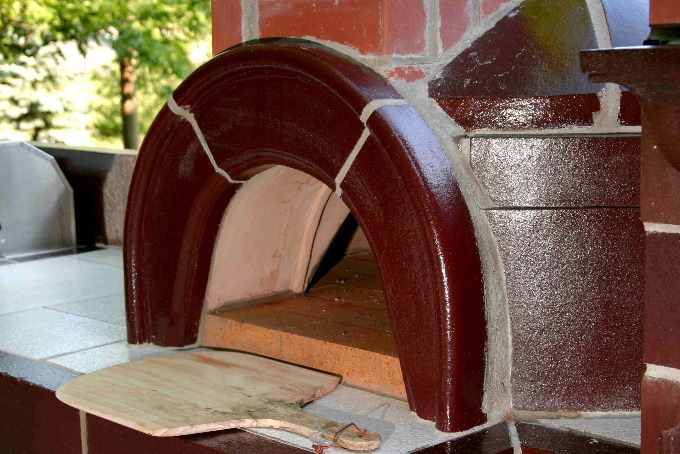 8) An entrance cover for the oven entrance can be provided. 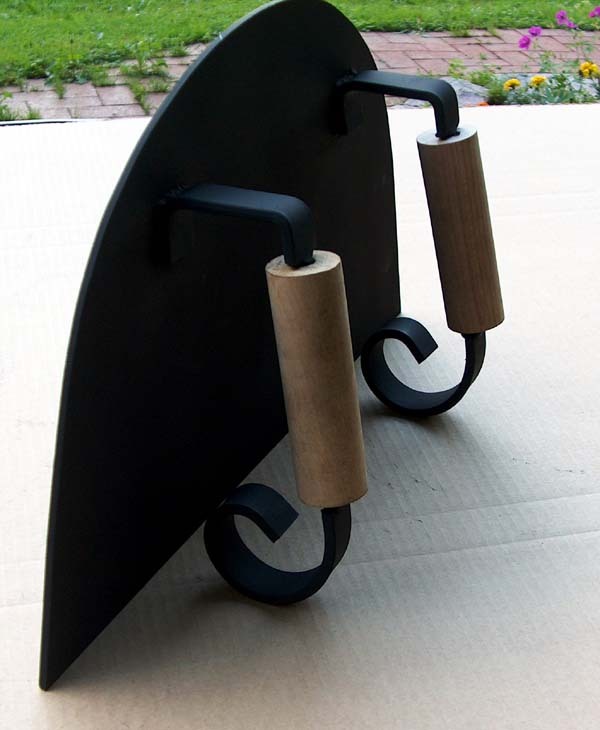 It can be propped up slightly (to provide combustion air) at the outside of the entrance when a fire is burning in the oven and can be pushed in farther against the seat in the tunnel to close off the flue to keep the oven warm longer after the fire has burned out.